Grantham Gates Ltd (formerly Rene's Gate Shop) is Grantham's oldest gate and railing company, and has over 45 years experience in the design, manufacture and installation of Gates, Railings, Stair Cases, Electric Gates (Gate Automation & intercom systems) & Balcony Rails in wrought iron, steel & wood. We serve Lincolnshire, Nottinghamshire, Leicestershire, Cambridgeshire, Derbyshire, Rutland, and also further afield. 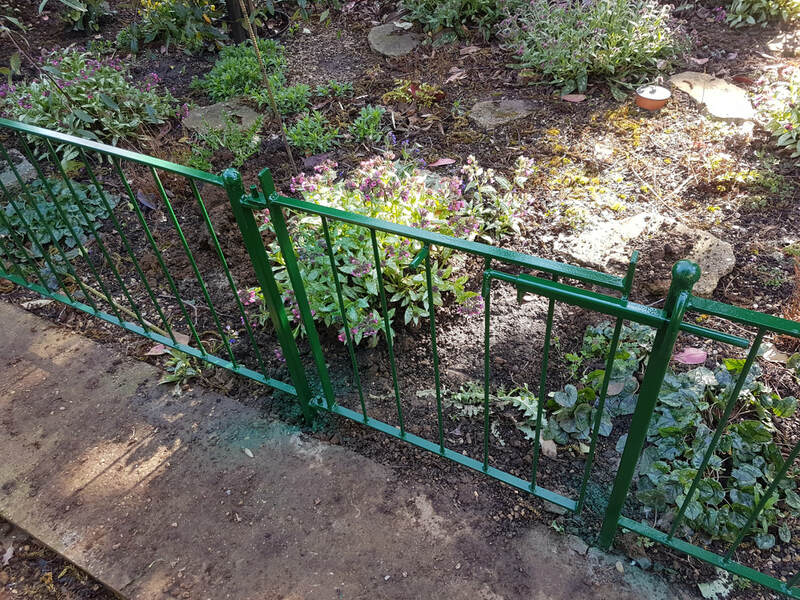 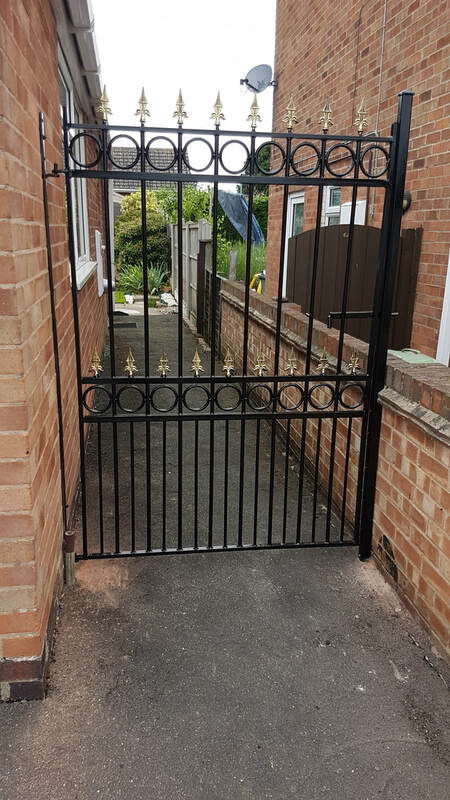 We can make any gate/railing to your specific needs, from simple and stylish for security purposes, to elaborate and elegant.. We also undertake any metal fabrication, from a simple weld repair to a fireplace, from a table set to a well cover, little is out of our capabilities. 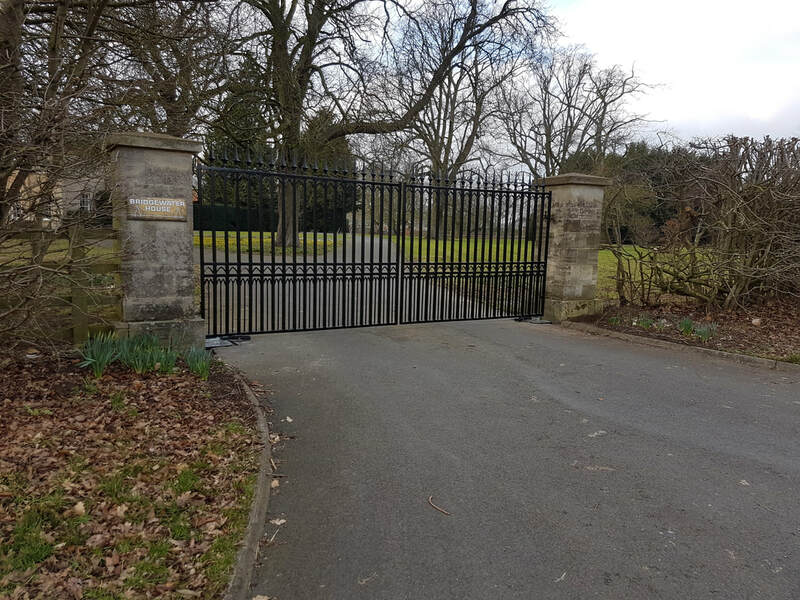 So if its electric gates, metalwork or home security in the East Midlands that you require, contact Grantham Gates on 01476 573973, email contact@granthamgates.com or visit us on facebook. 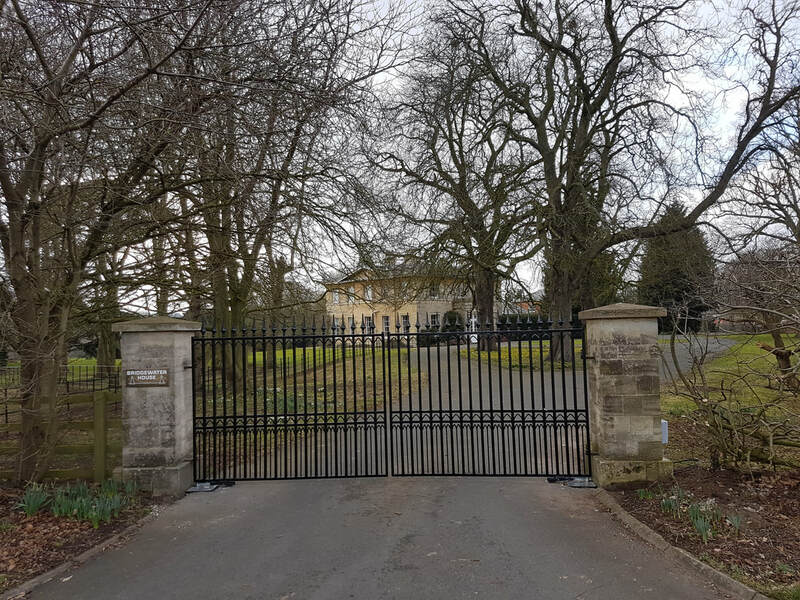 Please use the menu at the top of the page to navigate through our new website, and visit regularly as its constantly being updated! 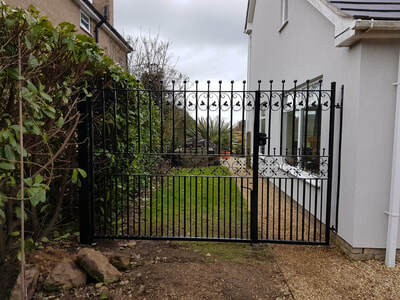 All of the images on this site are the work of Rene and Andre at Grantham Gates. 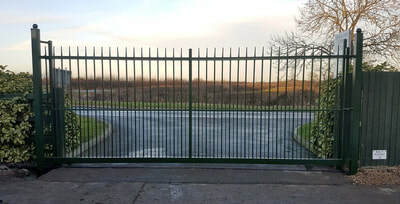 All gates and railings are made in-house here at our town center workshop. 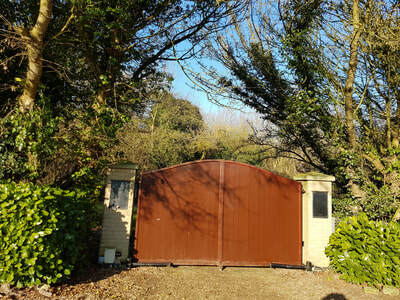 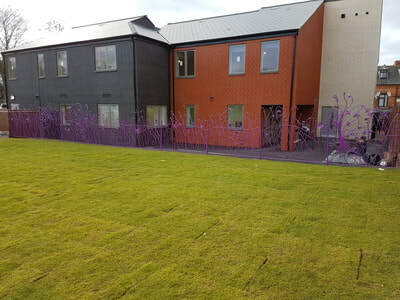 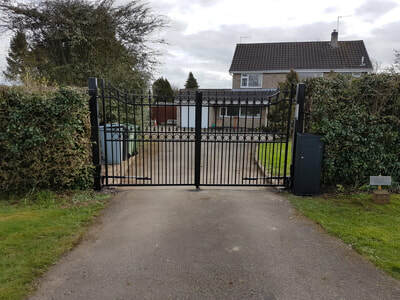 You are more then welcome to visit at any time by appointment to view the progress of your gate and to suggest any changes before final welding and painting is completed. 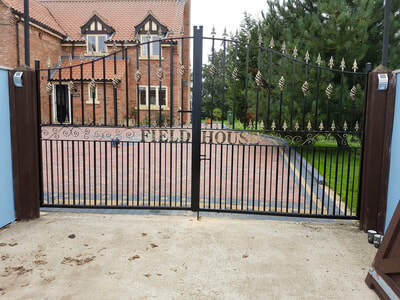 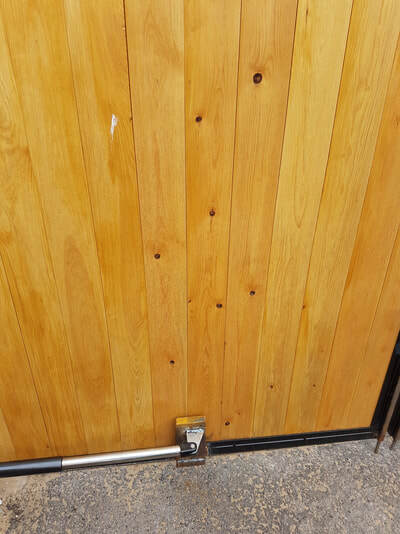 All of our gates are made to measure to your size and design requirements and come mostly with a 3-4 week lead time. 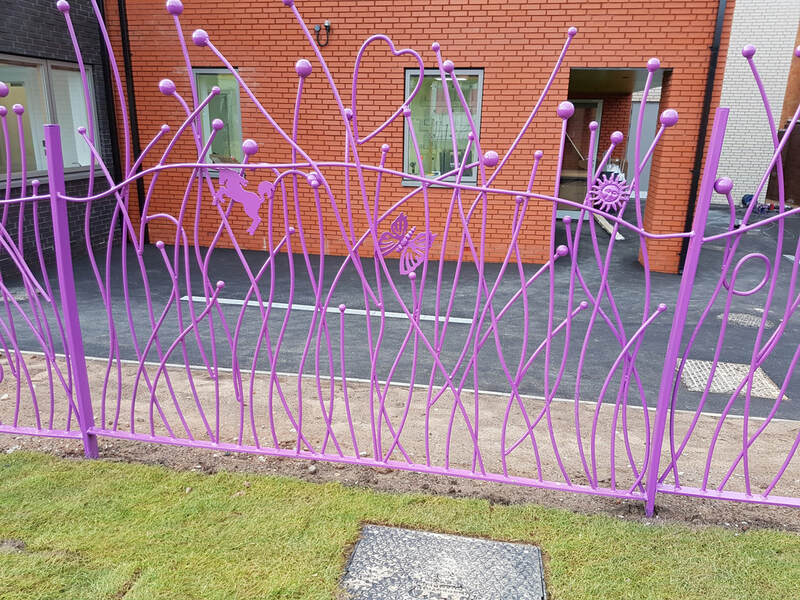 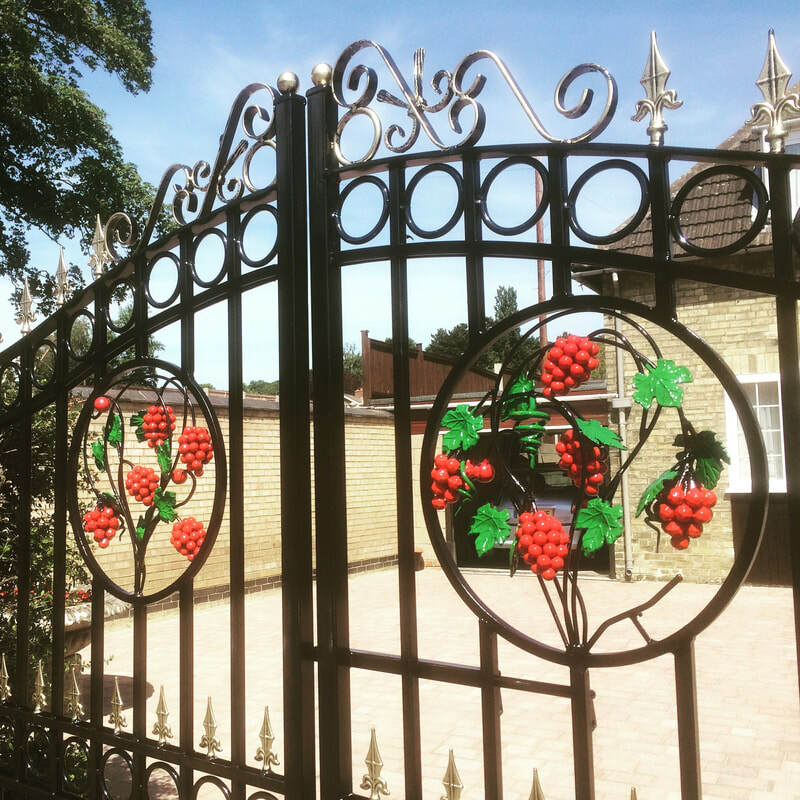 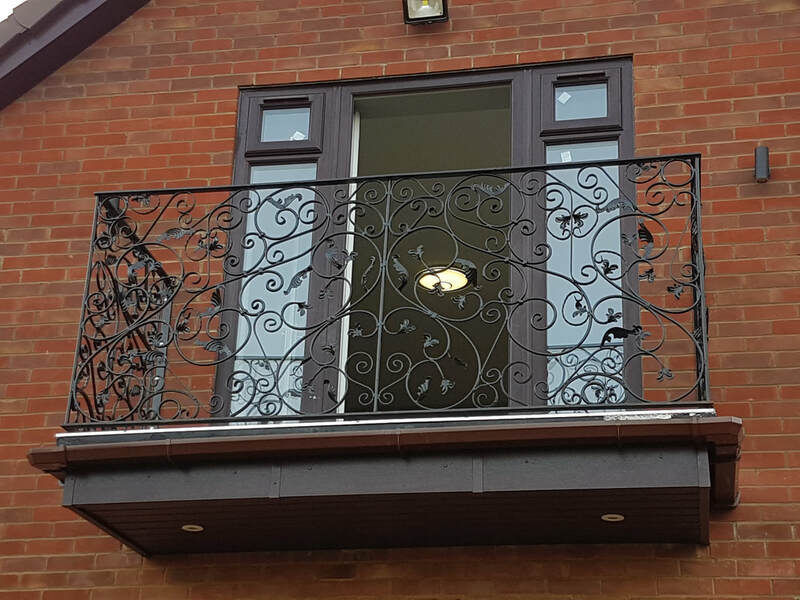 We are able to make anything you would like out of steel and wrought iron, from a bed to a fireplace, a BBQ grill to a balcony, so if you spot a design feature that you want to incorporate into your metalwork design, we are able to do so. 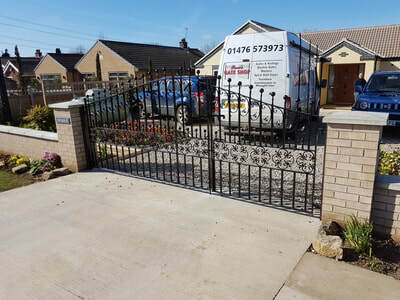 Full installation service is available and recommended. We serve Lincolnshire, Nottinghamshire, Leicestershire, Derbyshire, Rutland, Birmingham and further afield. We specialise in electric gates and electronic access control for residential and commercial properties. To find out a rough price, fill out the contact form above. 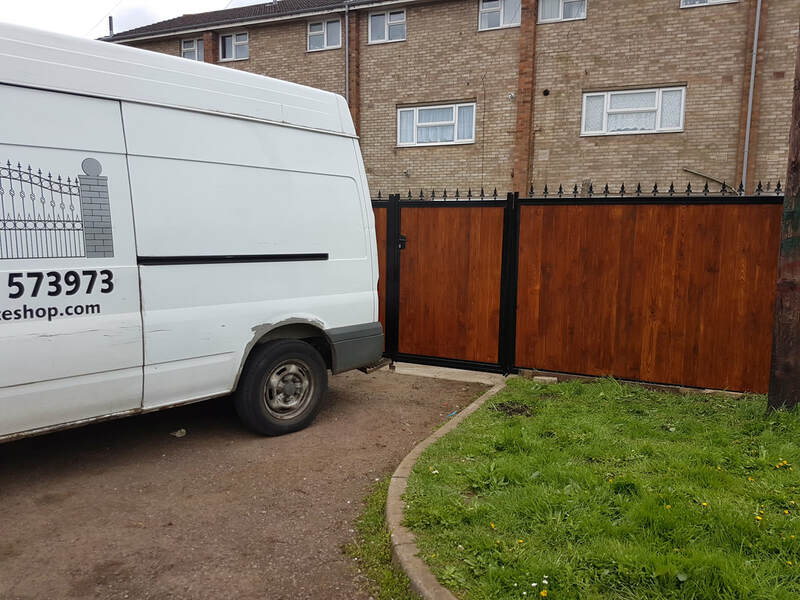 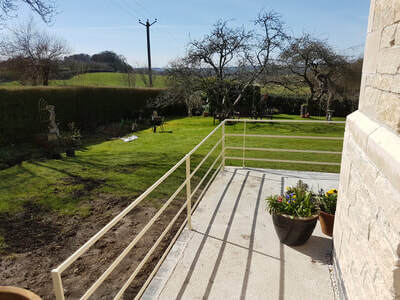 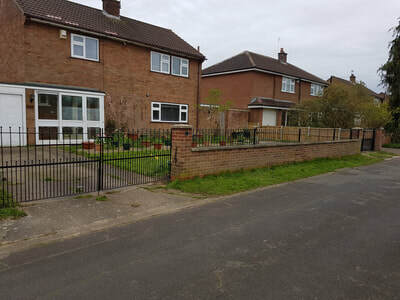 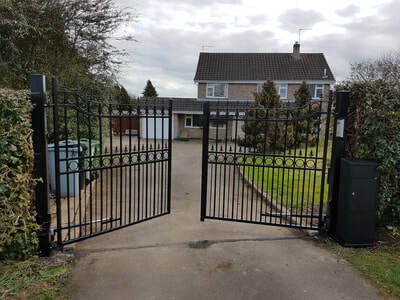 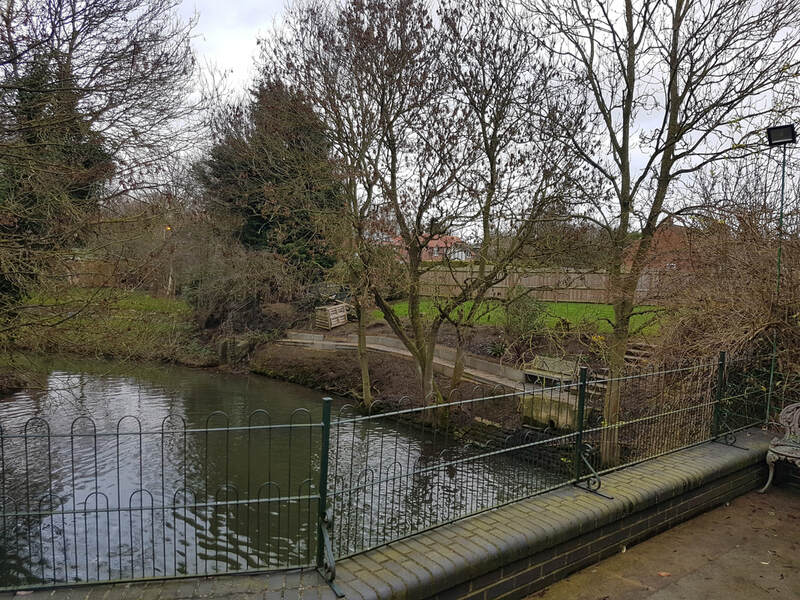 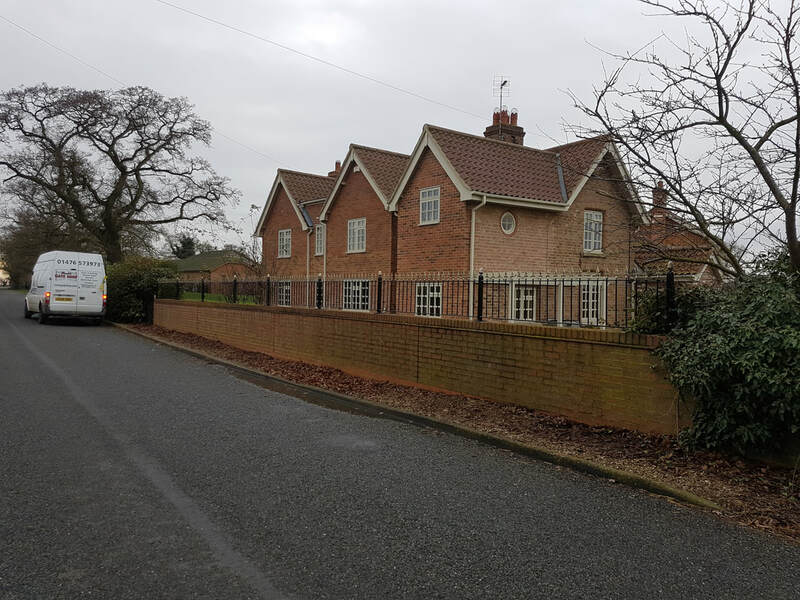 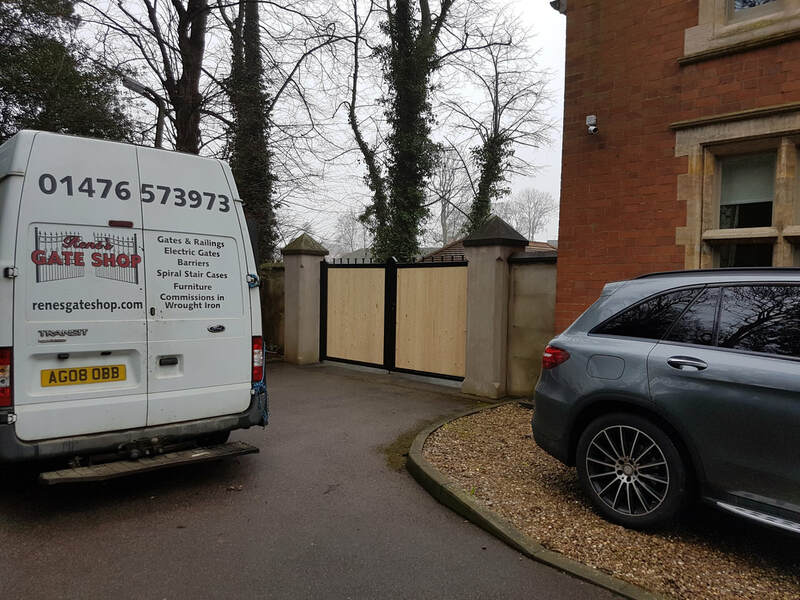 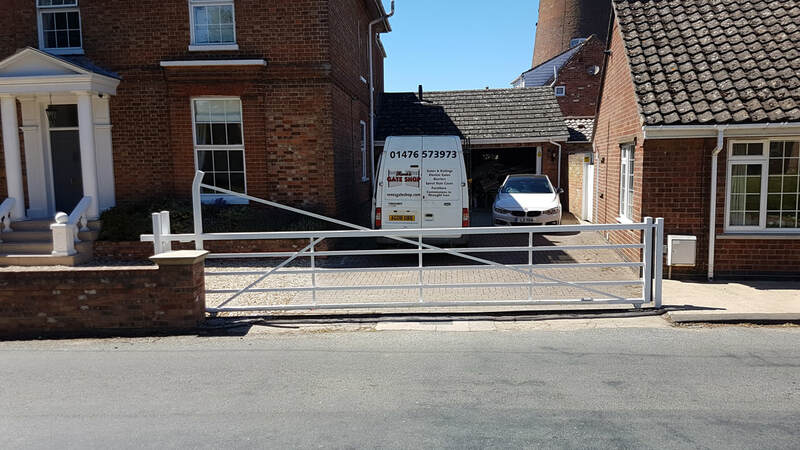 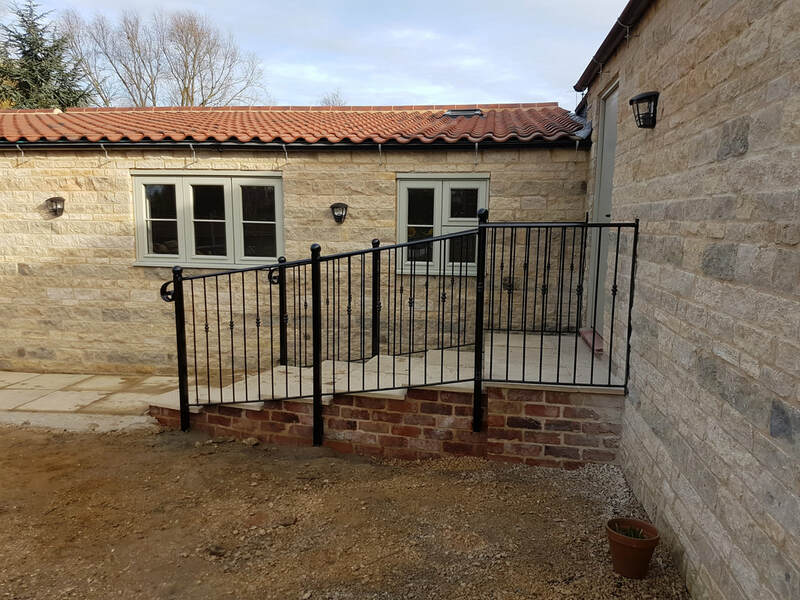 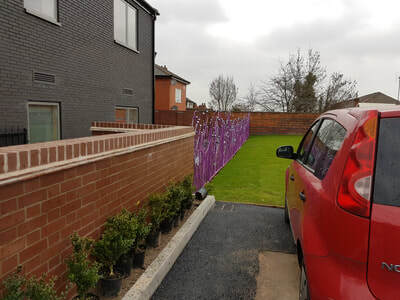 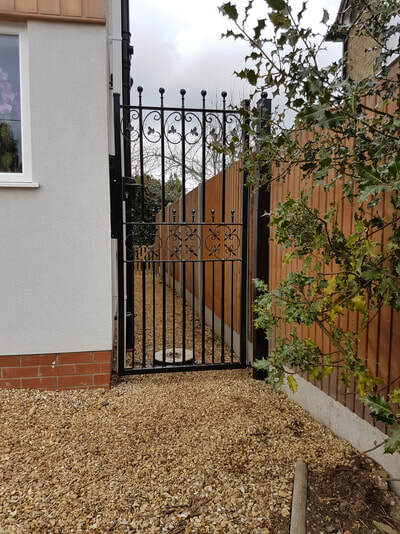 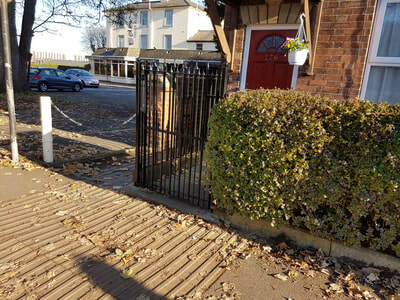 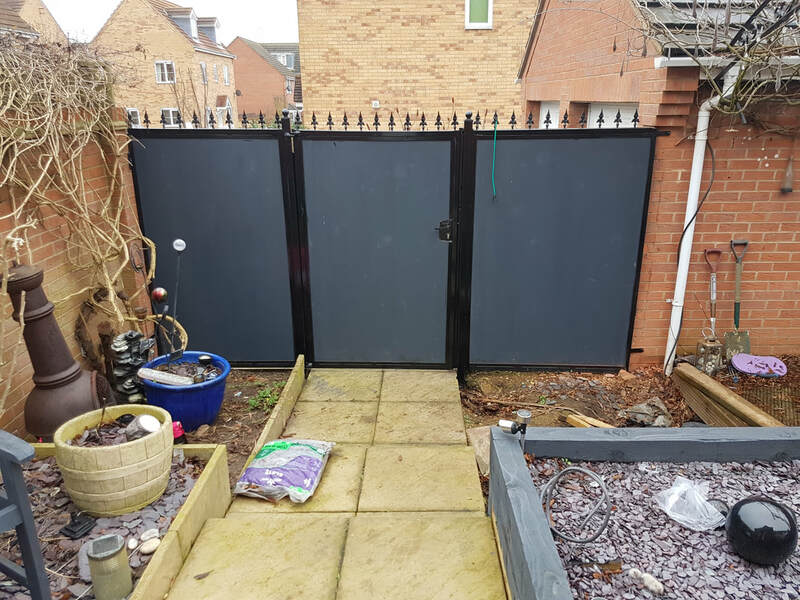 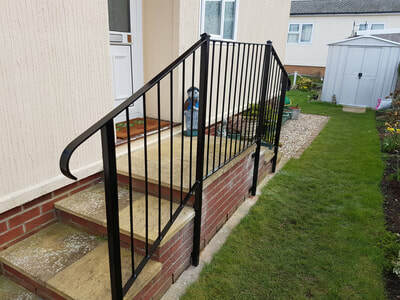 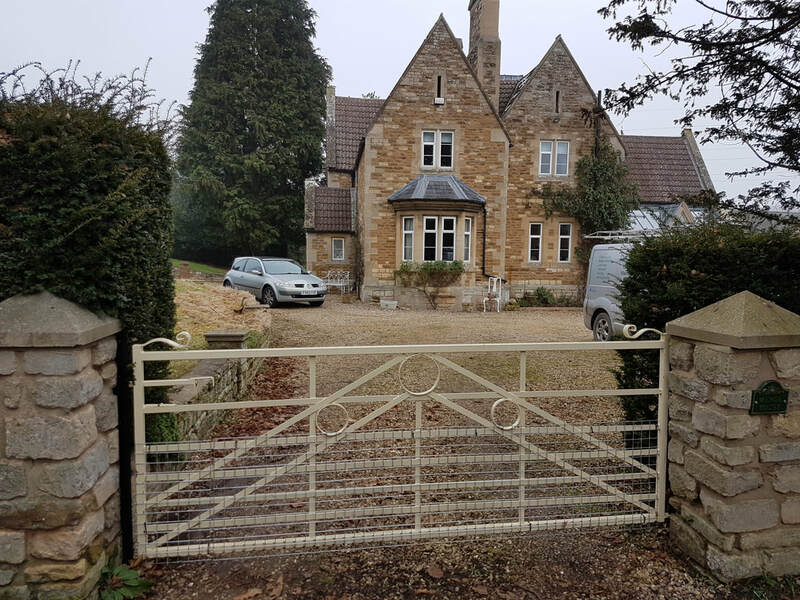 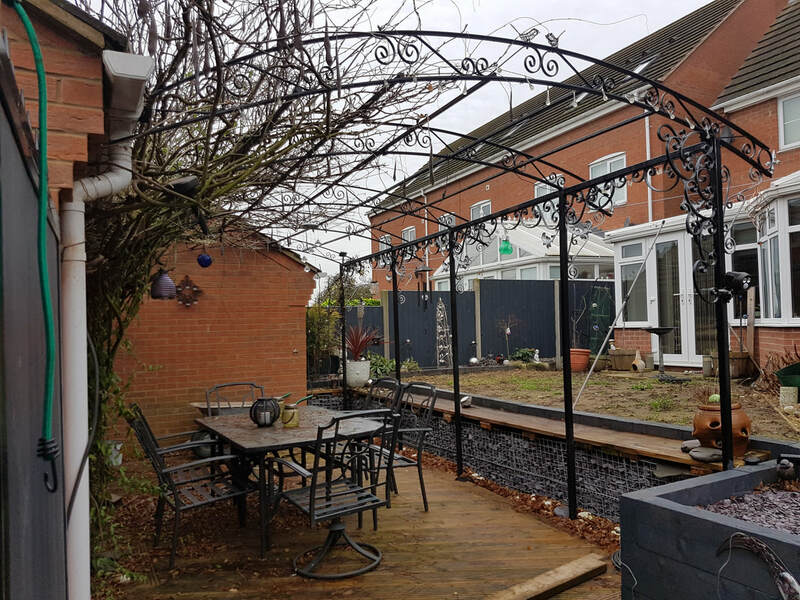 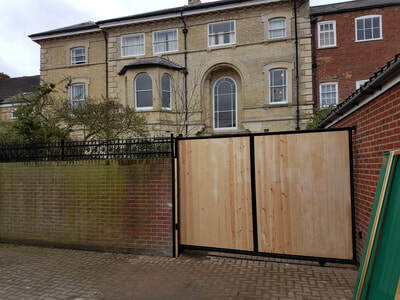 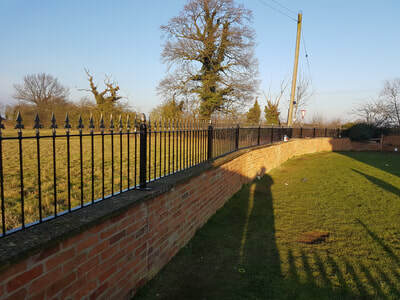 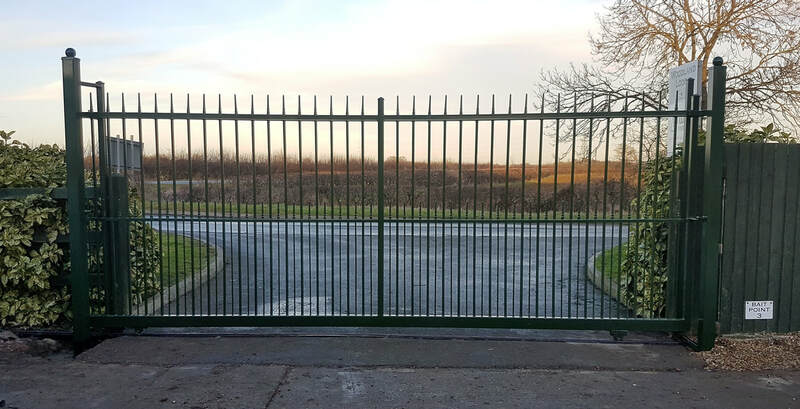 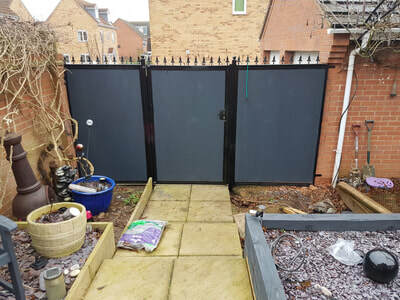 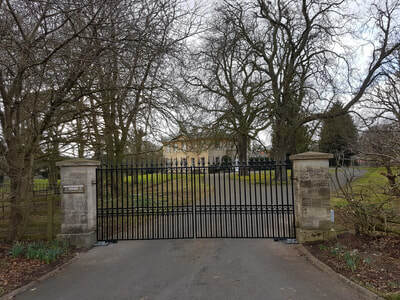 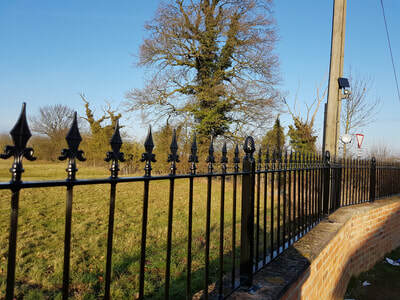 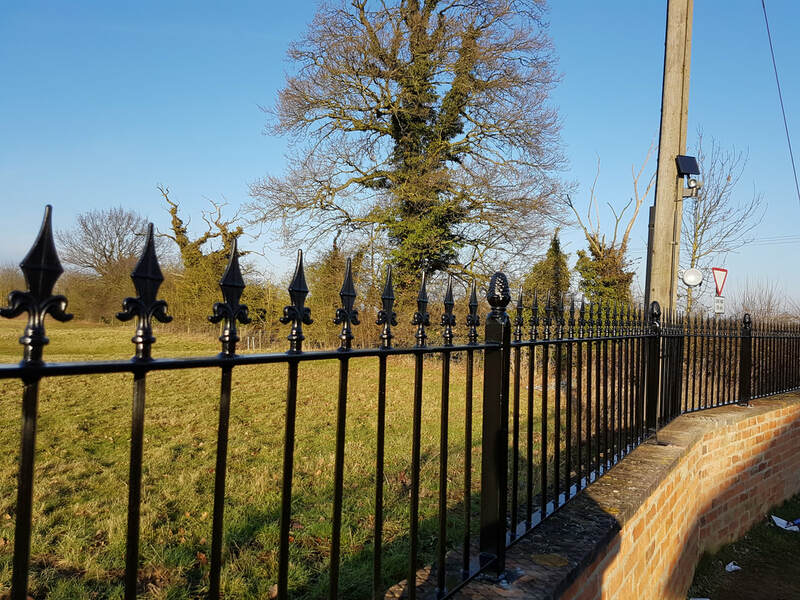 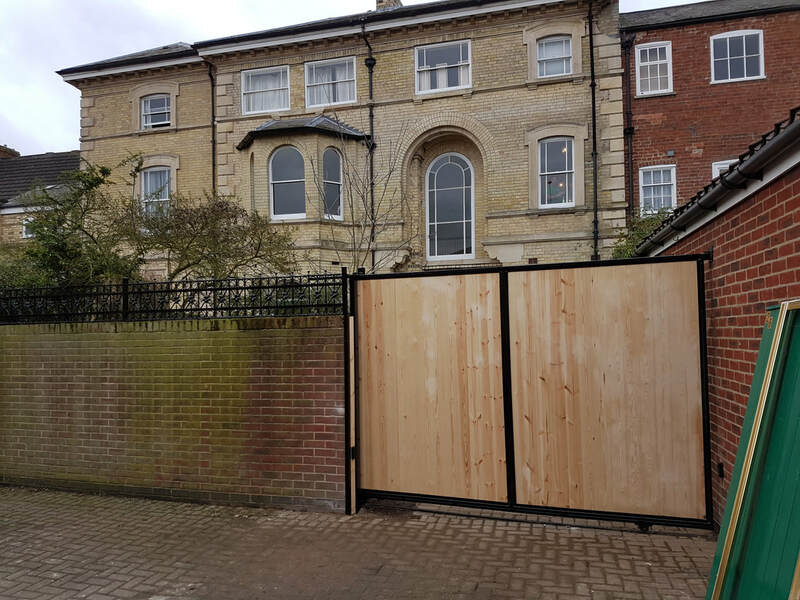 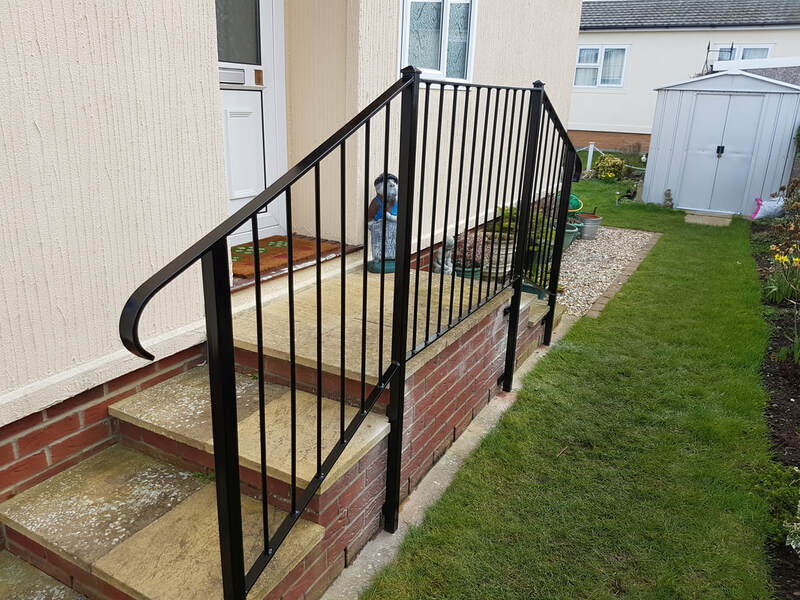 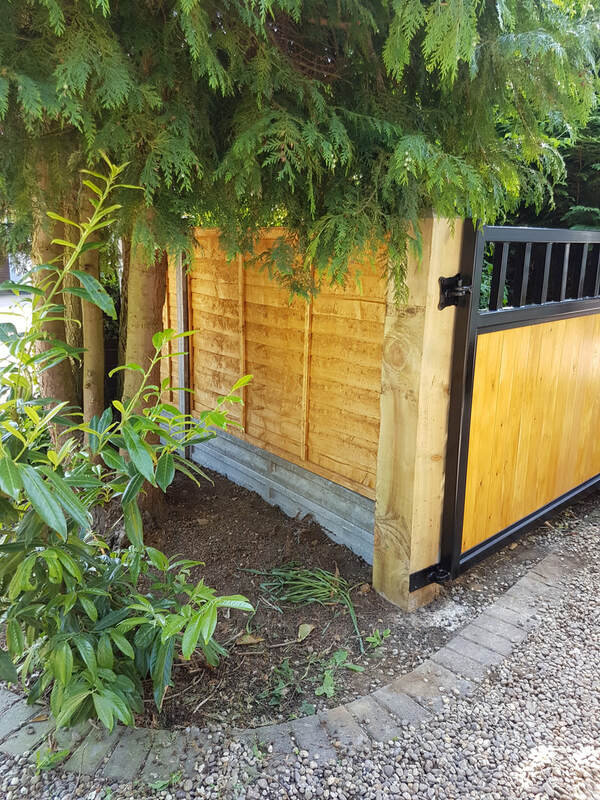 We have recently installed gates and railings, including handrails and other home security, in Sleaford, Boston, Stamford, Peterborough, Lincoln, Leicester, Nottingham, Mansfield, Bourne, Oakham, Loughborough, Newark, and Huntingdon. Our designs go from elegant elaborate to simple and stylish. 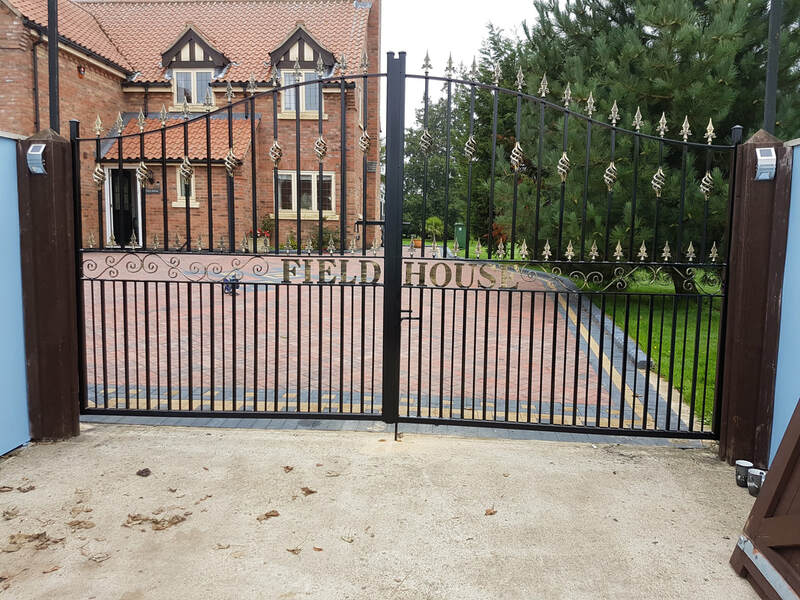 We also have contacts within various trades for your building and groundwork needs, from a pillar or a wall to a full extension.